Migrant women and children in Rome are left to fend for themselves in the freezing cold because the centers for them open only late in the evening - that's what the organization Baobab Experience, which helps migrants in Rome, claims. They want the town council to do more to meet the needs of the homeless during the winter. "There are currently women and children in the streets begging to be taken 'home' immediately because of the freezing temperatures," Baobab Experience said in a post on Facebook. "The centers for them do not open before 8:40 PM and we are here to wrap them in coats." The association helps migrants in transit at Rome's Tiburtina station. They run an informal center that has been evicted and dismantled by the police several times. The last of these raids occured on November 13. Baobab reported that "dozens arrive at Piazzale Spadolini," where the association's informal center is located, "in these cold days." They also wrote that after the November 13 eviction, they had 150 new arrivals - including women and very young children. "The volunteers are doing everything they can, restarting activities at a frenetic pace, keeping dozens of aid workers on the streets with the migrants during the day, who try to survive the cold with hot meals and warm clothing," the organization wrote. "We are managing [...] but the absence and stubbornness of the institutions are making the [migrants'] lives - and ours - [...] too difficult,"
Baobab Experience called the response of the town council to the situation inadequate, noting that there are only "40 cots offered by the town council and Ferrovie dello Stato [Italian state railways, Ed.] for only a few hours every night (from 9pm until 5am)." 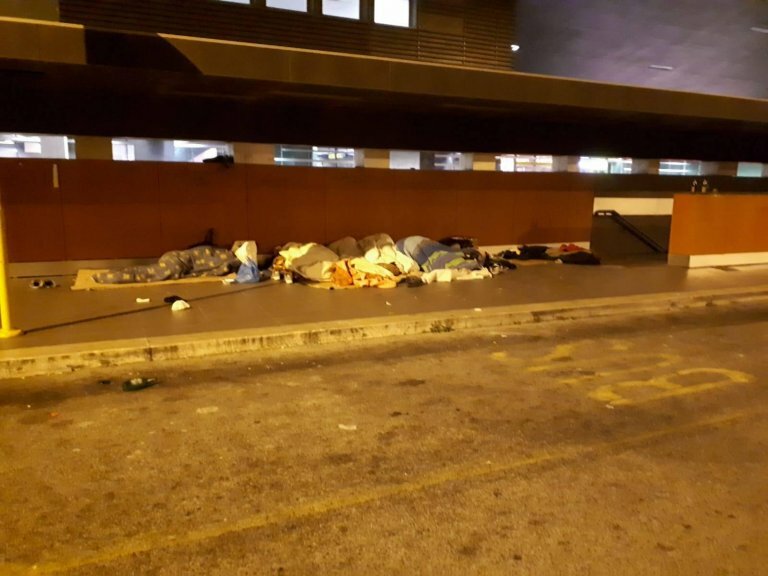 The association called on the town council and the state railways "to make themselves available for a meeting with the local authority and the associations working in the area, currently in a precarious manner and in adverse conditions, to meet the basic needs of migrants in transit and those excluded from reception at the Tiburtina station."